The most American car in America is … the Toyota Camry. That’s according to Cars.com, which compiles an annual American Made Index (AMI), setting a standard of 75 percent or more U.S.-made parts to be considered for the designation. 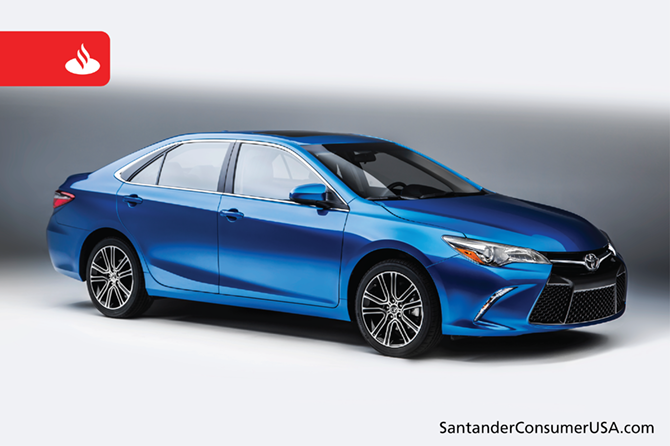 The Camry was one of only eight vehicles – one more than last year – that cleared the bar for 2016. In fact, the top five models are either Toyotas or Hondas. 2016 Toyota Camry captures second consecutive made-in-America crown. The Camry, manufactured in Toyota facilities in Georgetown, KY, and Lafayette, IN, topped a list that also includes, in order, the Honda Accord (Marysville, OH), Toyota Sienna (Princeton, IN), Honda Odyssey and Pilot (Lincoln, AL), Chevrolet Traverse, GMC Acadia and Buick Enclave (Lansing, MI). It was the Camry’s second consecutive win and sixth in the 10 years of the AMI, said Cars.com. But 75 percent is a high bar, and, in fact, a number of other vehicles are built with at least 50 percent parts made in America (United States and Canada). The National Highway Traffic Safety Administration’s 2016 American Automobile Labeling Act (AALA) reports 83 models meeting the lower standard, about 22 percent of nearly 400 from 25 brands. Several FIAT Chrysler Automobiles (FCA) brands – Dodge, Jeep, Chrysler and Ram – which would have improved the numbers based on the 2015 data were not available in the 2016 report. Those brands would add 15 models to the list of products with at least 50 percent American-made parts. You can find labeling act reports from 2007 to 2016 here on the NHTSA website. While the Cars.com list differs from the AALA list, the same eight models appear on both. In a previous blog post, under the heading “American as Apple Pie,” which means they are 80 percent American made, are the Buick Enclave, Chevrolet Traverse, GMC Acadia and Honda Accord. Four vehicles “Waving the Flag,” which means they clear the 75 percent bar, are the Honda Pilot and Odyssey minivan and the Toyota Camry and Sienna minivan. Cars.com’s American Made Index rates vehicles built and bought in the United States. Factors include the percentage of parts considered domestic under federal regulations, whether the car is assembled in this country and U.S. sales. The AALA is the only domestic-parts labeling system car shoppers can find on every new car sold in America.